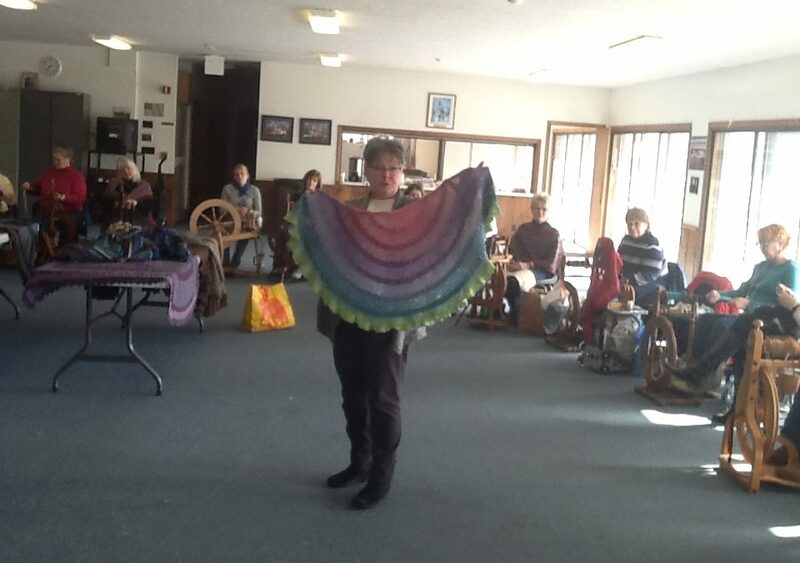 This is where we show off our latest hand spun and/or hand dyed creations. 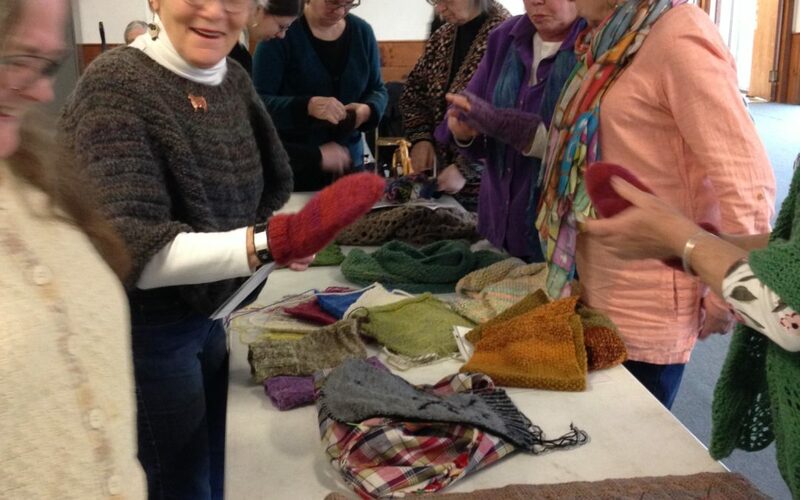 We share ideas and pattern sources and are inspired for another year of spinning, dyeing, and making. A potluck lunch is shared, and a little business is conducted. It was with a heavy heart that the Fashion Show this year had to be canceled due to snowy weather. We had displayed some of this year’s work efforts at the 2017 Annual Meeting.